Tyne Theatre and Opera House are excited to announce the return of Newcastle’s Queen of Comedy, Miss Rory, to their stage this Christmas, with her live standup, A Christmas Rory II. If you’re looking for something a little more risqué amidst the Panto season, this is the show for you! 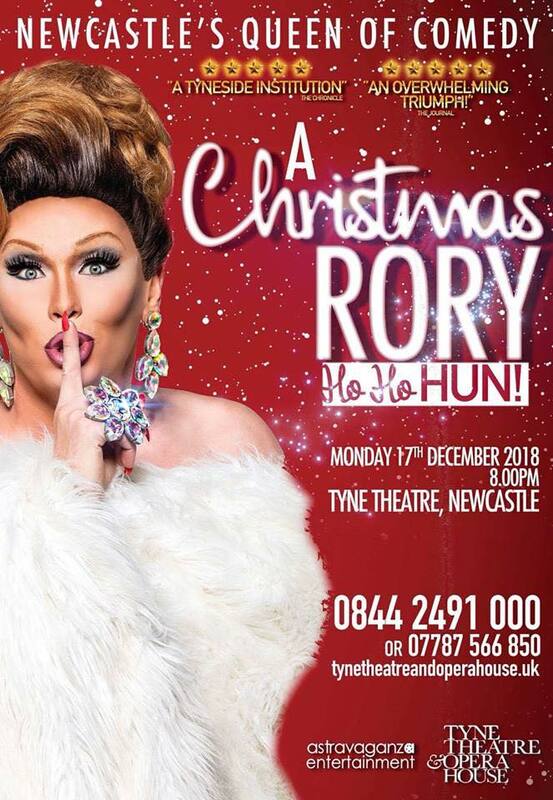 Mariah Carey might have you believe that she’s the only diva you need to be concerned with at Christmas but Newcastle’s undisputed Queen of Comedy is back, and with a vengeance. After the sell-out successes of One Woman in 2016 along with What’s Up Hun? and A Christmas Rory in 2017; Miss Rory’s return to the Tyne Theatre & Opera House stage this Christmas is set to be a night full of showbiz festivities. Critically acclaimed, adored by the public and often hailed as ‘The People’s Princess’, Miss Rory will have you laughing until you cry as she spreads two hours of hilarity and Christmas cheer.